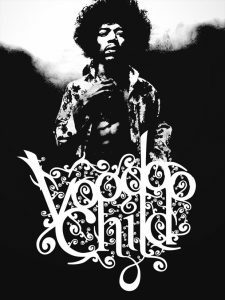 Learn How to play the complete “Voodoo Child” (Slight Return) by Jimi Hendrix. The video lesson has all the rhythm parts and 2 solo parts, arranged for 1 guitar. The download contains video file (Full HD 67mins), all necessary Tabs in pdf and a backing track.